TTTI is the Trinidad and Tobago chapter of Transparency International (TI), the global civil society organisation leading the fight against corruption. Launched in 1998, the Trinidad & Tobago Transparency Institute (TTTI) is a non-profit company registered under the Trinidad and Tobago Companies Act, 1995 and governed by a Board of Directors elected by our members, both individual and corporate. We are an NGO that is politically non- partisan, working in a non- confrontational way with relevant players from government, civil society, business and the media to reduce corruption. By having the TTTI as a watchdog against corruption, we work tirelessly to continually foster good governance by raising awareness, stimulating action and contributing to the reform of systems, institutions and laws. We do not investigate individual cases, 'name names', confront individuals or authorities in suspected cases of corruption or comment on cases of corruption before they reach the public domain. We benefit from the considerable skills, tools, experience and expertise in fighting corruption acquired by TI and its national chapters and strive to make our own contributions to this storehouse of resources. Trinidad and Tobago Transparency Institute (TTTI) is the local chapter of Transparency International (TI), a global civil society organization leading the fight against corruption. TI‟s headquarters is based in Berlin, Germany and was formed in 1993. TI‟s vision is a world in which government, politics, business, civil society and the daily lives of people are of free of corruption. The local chapter of TI, TTTI was launched in 1998 as an independent, non-political and non-profit civil society organization incorporated in 2001 registered under the Companies Act 1995 and governed by a Board of Directors elected by our members, both individual and corporate. TTTI was the first TI chapter in the Commonwealth Caribbean and has continued to encourage and lend assistance to other Caribbean countries to form national chapters of TI. 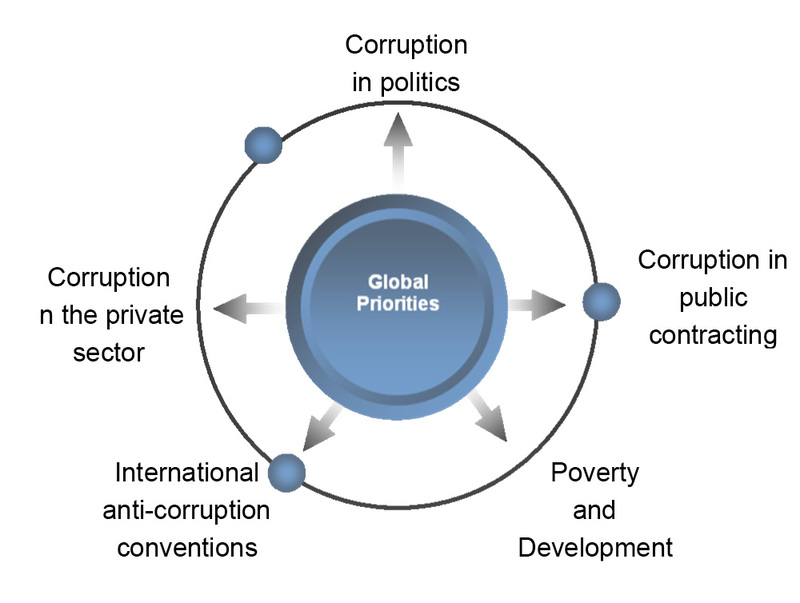 TTTI works to reduce corruption and foster good governance by raising awareness, stimulating action and contributing to the reform of public and private sector systems. Along with TI’s more than 90 other locally established national chapters and chapters-in-formation and in close collaboration with TI’s International Secretariat in Berlin, Germany, we benefit from the considerable skills, tools, experience and expertise in fighting corruption acquired by TI and its national chapters and strive to make our own contributions to this storehouse of resources. TI was established in 1993 in Germany by a group of people who shared the vision of its founding chairman Peter Eigen. With backgrounds in inter-governmental and business environments, they shared in common the experience of having witnessed first hand the devastating effects of cross-border corruption. It was this desire to fight global corruption that prompted the launch of the fledgling non- governmental organisation, Transparency International, in May 1993. Thanks to the efforts of TI, there are now several important international conventions in effect, most notably the OECD Anti- Bribery Convention. TI’s vision is of a world in which government, politics, business, civil society and the daily lives of people are free of corruption. Its mission is to work to create change towards a world free of corruption. 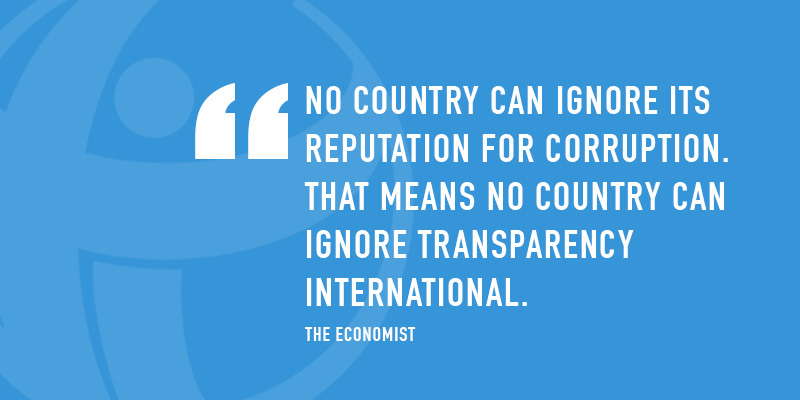 Transparency International has defined 5 global priorities in the fight against corruption. Enrich lives & communities by promoting the importance of Good Governance.